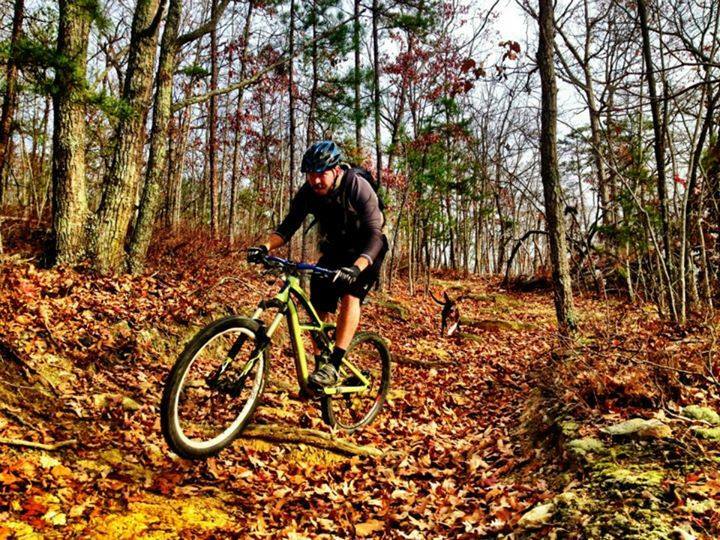 This trip is made for eager bikers that want to improve their skills and ride awesome trails! Just like on all Wilderness Adventure trips, The 1 Week Mountain Bike Trip is a fully outdoor experience. You will camp in backpacking tents, cook backpacker style meals on Whisper-lite stoves, and share the accomplishments of each day with your group and leaders by the fire each night. This is definitely a mountain biking trip, and the desire to peddle hard as well as the ability to ride a bike are absolute requirements! You'll have a great time honing your skills and riding fun trails, but you will also get instruction in basic bike maintenance. Instruction can includes changing and repairing tubes, changing and lubing chains, adjustments of brakes and derailleurs, and more. Of course you will still get to do the amazing 900' zip line and have the bonding experience with your group that only camping and campfires provide. Start with our basic riding skill assessment and bike maintenance class lead by an IMBA (International Mountain biking Association) certified instructor plus get all the basic camping / backpacking skills you will need for the trip. 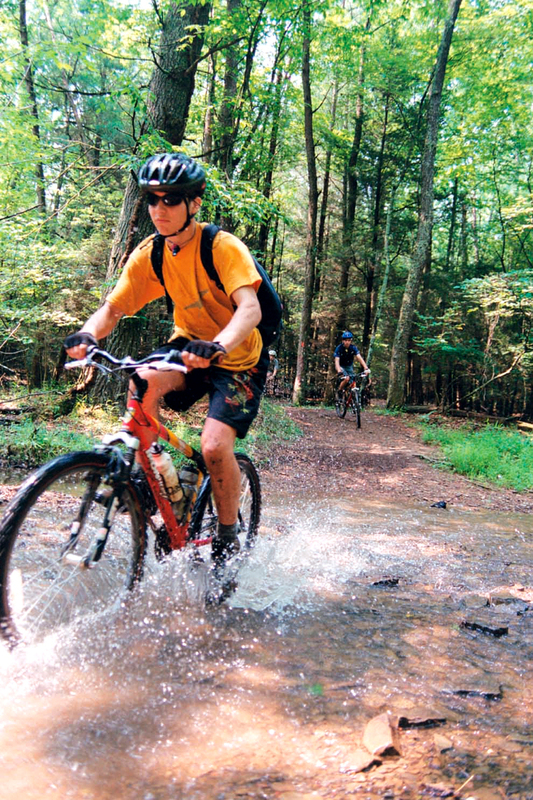 Leave base camp and head out to some of the best Bike trails Virginia has to offer. Camp and ride some back country trails, single track and improve your technique on different skill courses. Back at our Base Camp, join the other groups for the traditional Friday festivities: do the 900' foot zip line, compete in the WAlympics, eat mountains of fresh spaghetti (you'll need it after all the riding!) and share your stories at the Closing Campfire. *The June trip will be slightly more geared to novice riders, and the August will push riders to hone their skills. We might recommend avid mountain bikers try both trips to see their skills develop over the course of the summer. However, with our personalized instruction, either trip is appropriate for beginner to moderately advanced riders. Learn how to tune and do basic maintenance on your bike. skills like patching tubes, gear and brake adjustments, changing chains and fix them and specific trail bike maintenance. Also learn how to build use tools and maintenance bike trails! Learn all the Level 1 technique riding skills led by an IMBA instructor. The ten fundamentals of mountain biking such as neutral / ready position, Bike / body separation, Breaking, Gearing and cadence etc...will be described and shown on the basic riding skill assessment day. Ride different single track and back country trails. Improve your skills on blue and black diamond trails. Rocky, creek crossings, easy , hard trails are all part of the experience. finally, improve your technique on a skill course / bike park where you can get a different experiences, pump tracks, see-saws and a big downhill all are part of this week trip! You will camp in backpacking tents, pack all your gear in one backpack, cook backpacker style meals on back country stoves, and share the accomplishments of each day with your group and leaders by the fire each night. Participants will leave WAEL with a sense of independence and ownership. The biking skills combined with the backpacking skills will show participants how to take new challenges in the outdoors, enjoy adventure sports and connect with nature. Confidence will be build up by going from green to blue diamond trails and by being able to fix your own bike! Finally the 4 principles of success ( respect, positive attitude, communication and work ethic) will be the main core of this trip for participants to share on their surroundings.